I recently had the opportunity to partake in the most immersive Australian wine experience possible without actually making the trip to the Down Under. 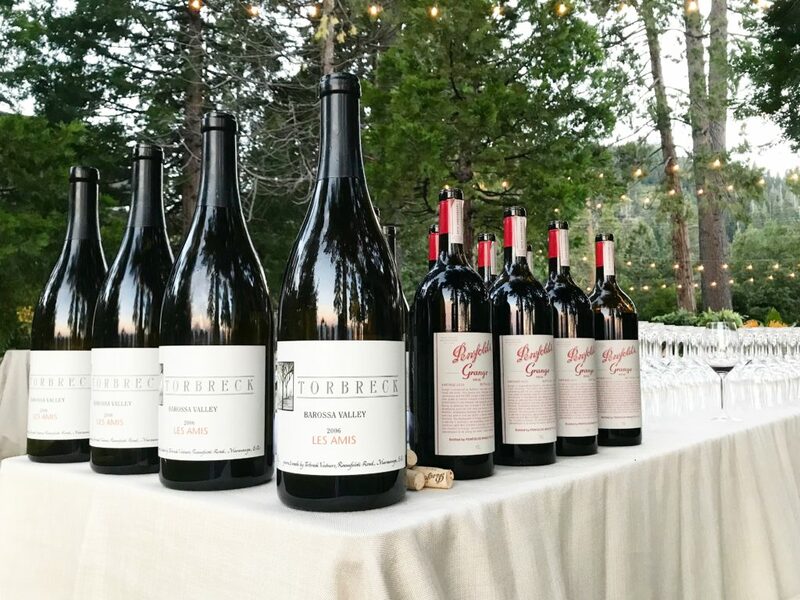 Wine Australia organized an utterly impressive four day conference in Lake Tahoe with thirteen of Australia’s top winemakers representing twenty-six of its incredibly diverse regions. To say that this was an eye-opening experience would be another gross understatement. I was blown away by the mineral-driven Semillon, the savory Grenache and the gorgeous Cabernet Sauvignon. Compellingly pure examples of bright, acid-driven Chardonnay deftly articulated a new normal, while surprises such as Cinsault, Nebbiolo and Nero d’Avola were an absolute delight. “The most exciting thing in my life has been the emergence of quality Pinot Noir outside of Burgundy. In the early days, we were trying to make Pinot Noir for Shiraz drinkers. And then a light went off – and we decided to make Pinot Noir for Pinot Noir drinkers.” Winemaker Michael Hill Smith of Shaw + Smith Wines describes the evolution of Pinot Noir in Australia. Q: Having grown up in a family of farmers with three generations of grape growers coming before you, did you know early on that you wanted to make wine? How did these seminal experiences influence the direction of your career? I came to wine through agriculture studies first. Coming from a mixed farming background( including vineyards) I decided to study Agricultural Science rather than pure science. This brought me into contact with the Australian Wine Research Institute, which a joined the Ag campus. I did some wine related projects and found out I could transition into winemaking studies at Roseworthy College by way of my Ag degree. At home we regularly had wine on the table, and having family vineyards also gave me a sense that my direction wasn’t too left of field. Q: How would you describe your winemaking style and has it evolved during your 40+ year career? Obviously for the first 29 vintages, working for Penfolds, my winemaking direction was centered around maintaining the style of the icon wines developed by Max Schubert and Don Ditter, the Penfolds winemakers before me. But as Chief Winemaker, I did have the opportunity to develop some new wines for Penfolds; wines like the RWT Barossa Shiraz, Bin 407 Cabernet, and Bin 138 GSM blend. 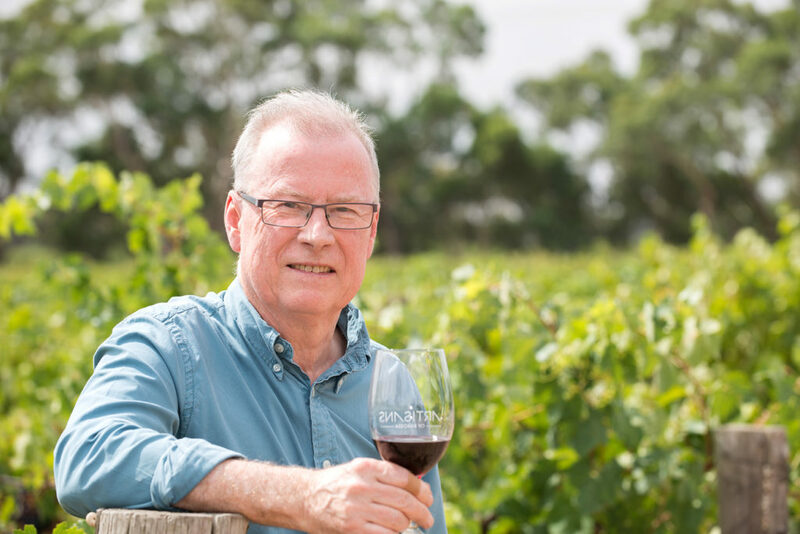 When I started our own family business, John Duval Wines, I didn’t want to copy the Penfolds traditional style, but rather I aimed to fine tune some of the newer wines I helped create. I didn’t have the same vineyards to work with, but did have relationships giving me access to some amazing old vineyards, some over 100 years old. I sum up what I aim for as “ an elegant expression from old vineyards matured in fine grain Frenach oak”….. Modern Barossa. Of more recent times I am using more Eden Valley vineyards, which speak to more aromatics and freshness. Q: You were responsible for crafting the iconic 1990 vintage of Penfolds Grange, which was named “Wine of the Year” by Wine Spectator and arguably put Australian wine on the map. Would you describe the notoriety and expectations that followed as a blessing or a curse? How has such recognition impacted you? I remember receiving a call from our US office at 5.30 am, with the news about the 1990 Penfolds Grange being named Wine of the Year. Half asleep, I remember saying that I was happy to take a call any time of the day or night with such great news. Certainly it was very important for Penfolds, but also for the Australian wine industry, as it was the first time that an Australian wine had been named No1. It was a proud moment for the Penfolds winemaking team and something that I am always happy to talk about. So definably a blessing not a curse. Having our own family business is obviously very important to me, and very exciting now that my oldest son, Tim, has joined the business, but I will always have an emotional connection to Penfolds. Q: Australian wine has experienced pretty dramatic swings in popularity amongst US consumers. In your opinion, are Australian wines misunderstood? Yes, I think there is some misunderstanding of Australian wine by consumers. Some of this is perhaps our fault as the message and realities of quality, diversity of style, and regionality was lost on consumers when Australian wine availability was dominated by the so called “critter wine” category at more entry level price points. This is why telling the stories and tastings like we did at Australian Wine Decanted last week are so important. Q: How have you witnessed Australia as a whole evolve in terms of winemaking? Australia is such a large country with huge diversity and regional differences, that it is hard to generalize. In the Barossa there has certainly been a move to producing wines of more elegance with lower alcohol levels, but without throwing out the baby with the bath water, and still respecting our terroir. We are producing some world class Shiraz with great complexity and longevity. 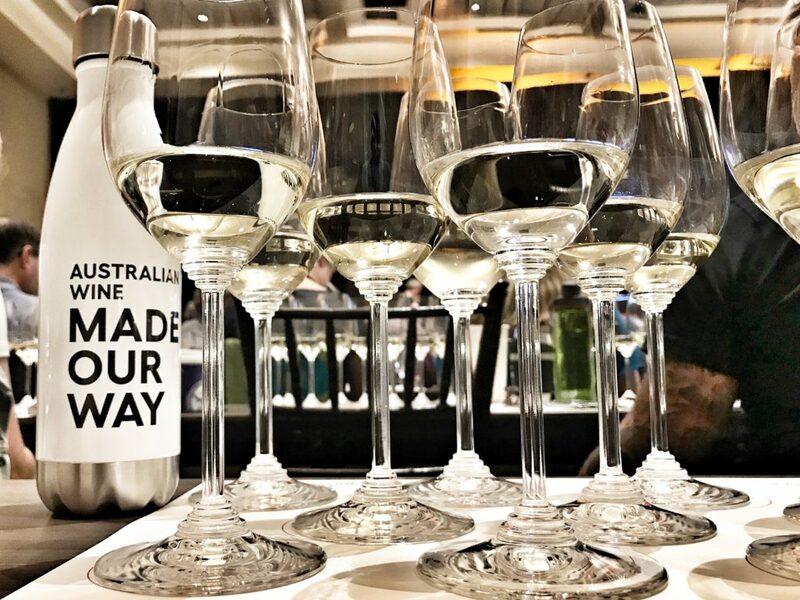 You would have seen last week in the different tastings the significant development in cool climate Chardonnay, the refinement of Cabernet from our top regions of Coonawarra, Margaret River and the Yarra Valley, just to name a couple of varieties. Q: Australia is often described as a New World wine producing region, despite possessing some of the oldest vines in the world. How do you feel about that description? We are probably not going to be able to change the “New Wold”, “Old World” terminologies, but it is nice to be able to say we have, in our part of the New World, older vines than the Old World. Q: Do you have a favorite variety, or one that you feel is most uniquely expressive of Australia’s terroir? Shiraz. The Barossa has a unique expression of this variety and has a claim to the oldest Shiraz/Syrah in the world with the Langmeil Freedom vineyard planted in 1843. 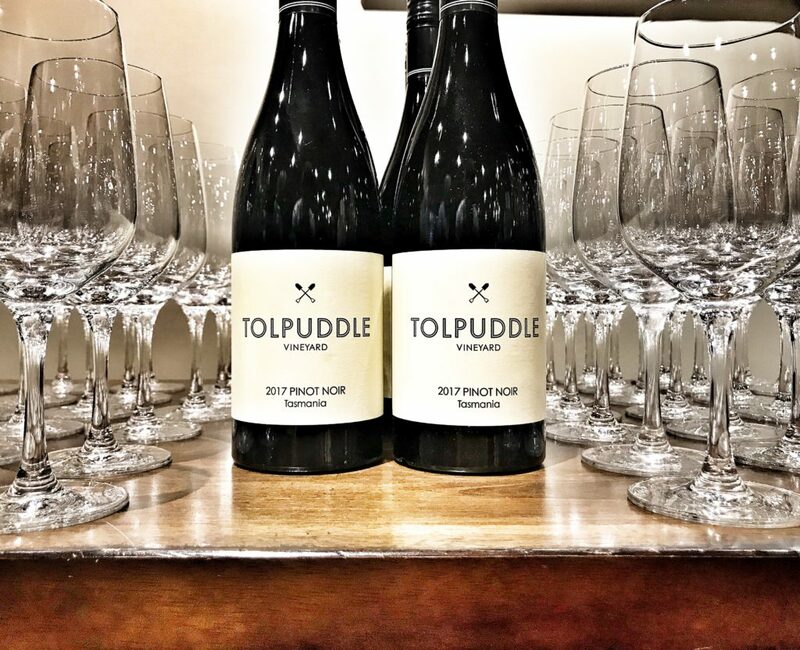 I think the variety also is very terroir driven and so explains the many different expressions in the many different terroirs across Australia. Obviously my experience with Penfolds Grange, RWT and my Eligo and Entity Shiraz colours my opinion. But I also make Syrah in Washington State and also Chile. Q: The first wine you produced under your own label, John Duval Wines, was a Grenache, rather than a Shiraz as some might have expected. Can you tell us why? My first wine under the family label was the 2003 Plexus Shiraz Grenache Mourvedre blend. This surprised many people as they were looking for an expensive Shiraz. I love working with the grower families that in some cases are 6th or 7th generation, producing some fantastic old vine fruit for Plexus, some over 100 years old. We believe the Barossa may well have the oldest vines in the world of these three varieties . One of the important lessons I learnt at Penfolds was the art of blending, and Plexus talks to this. Q: You could have chosen any region to make wine for you own label. Why have you chosen the Barossa Valley? 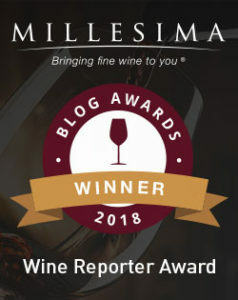 Although I have travelled extensively to many of the Australian and international wine regions, and have made wine in other regions, I have lived and worked in the Barossa for 45 years. I love working with the old vineyards and am excited by the changes I see happening with new varieties and a move to elegance and freshness in our winemaking. There is a strong sense of community also in the Barossa, and a distinct and expanding food culture, all of which add to the quality of life and importantly the wine culture. Q: When you’re not drinking Aussie wine, do you have a favorite region? Favorite region outside of Australia: My work commitments with Long Shadows in Washington State and Vina Ventisquero in Chile see me enjoying many of their impressive wines, but at home my wife and I enjoy wines from the Rhone Valley (Northern and Southern). Q: Throughout your lifetime, has any wine has left an impression that truly stands out above all others? Two wines have made lasting impressions. 1966 Penfolds Bin 620, a blend of Coonawarra Cabernet and Coonawarra Shiraz. Tasted in 1973 when I was studying winemaking, I was so impressed with this wine that I successfully applied for a winemaking position with Penfolds. 1962 Penfolds Bin 60A, a blend of Coonawarra Cabernet and Barossa Shiraz (Grange style). Many people have claimed this to be the best wine produced in Australia, and I find it hard to argue with this. *Photo of John Duval provided courtesy of Wine Australia. Enjoyed your article Ryan. One of my first wine epiphanies was Penfolds Bin 389 Shiraz Cab blend. I purchased 2 bottles based on reading about it. Had a glass of the 1st while cooking. Didn’t like it. Took the 2nd to a friends dinner party (roast pork loin). It was spectacular! That was an ah-ha moment. Aussie wines always have a place at my table! Hope to find some Duval wines to try! Thanks, Lynn! I appreciate your taking the time to read my article. Now I’ll have to be on the lookout for the Bin 389! What a great article Ryan. It really sounds like an incredible experience!